We improve an existing propagator for the context-free grammar constraint and demonstrate experimentally the practicality of the resulting propagator. The underlying technique could be applied to other existing propagators for this constraint. 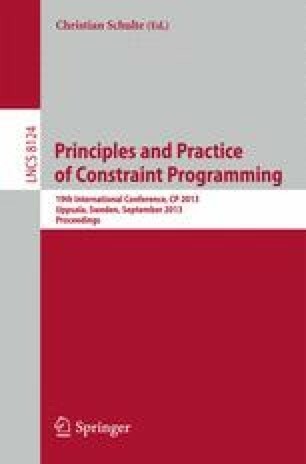 We argue that constraint programming solvers are more suitable than existing solvers for verification tools that have to solve string constraints, as they have a rich tradition of constraints for membership in formal languages.